Valve's efforts to mitigate the impact of Steam review bombs are working thanks to a new system that prevents "off-topic reviews" from affecting a game's review score. 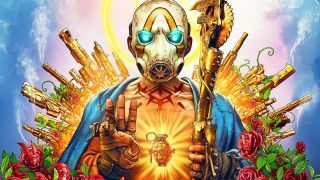 Steam users unhappy at 2K's decision to enter into an exclusivity partnership with the Epic Store for Borderlands 3 have been review-bombing its prequels, Borderlands 1 and 2. A new default filtering system, however, prevents those reviews—which number around 4000 in this case—from being included in the aggregate score. Of course, written reviews remain on the site, which means you're able to read the comments of unhappy Steam users with a single click. It does, however, mean prospective purchasers won't be mislead by negative reviews from the game's store front. Valve announced the new measures last month in a bid to "ensure [reviews are] accurate and trustworthy". Defining an off-topic review bomb as one where the focus is on a topic that Valve considers unrelated to the actual satisfaction of a game, it then detailed a tool that identifies any anomalous review activity on all games on Steam "in as close to real-time as possible". Borderlands 3 will release September 13 on the Epic Games Store, which will be the only place to buy it on PC until April 2020. After that six month exclusivity period, it'll release "on additional PC digital storefronts," according to a press release from 2K. Here's everything we know so far about Borderlands 3's multiple editions.